I'll ask you to forgive me for being perverse enough to start a discussion of the most notoriously impersonal and inhumane film of Stanley Kubrick's career with a personal statement, but I don't really know what else to do. 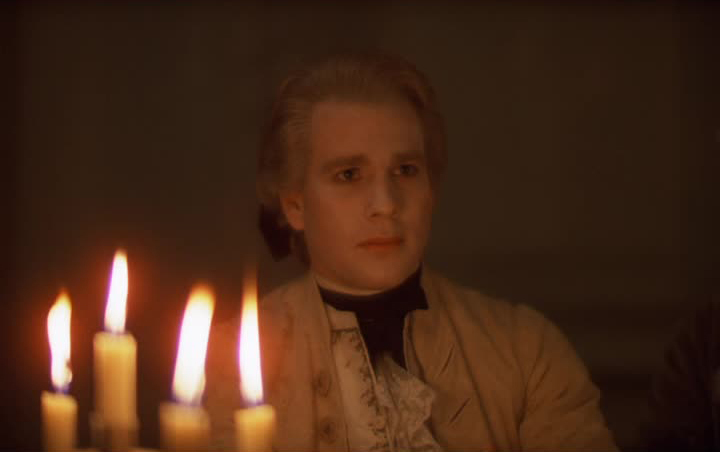 The thing is, y'see, I love Barry Lyndon - not because it is great, but because it's so much damn fun to watch; the kind of three-hour movie wherein, when it arrives at the end of its first hour, I find myself gawking because, like, didn't I just start watching it? And this is not merely contrary to the received wisdom about the film - that it is unbearably, even unwatchably ponderous and slow - but perhaps even to Kubrick's intentions in making it. There are, after all, very good and obvious reasons why you'd want this exact movie to be insufferably static and slow-moving, both because of the setting of the story and the manner in which the story is told. And yet, watching the movie, which I have now done four times in my life, I never have the slightest awareness of time passing. This speaks, maybe, to the different reasons we watch movies. Barry Lyndon, as a narrative, is not quick to make its points; as a character drama, it has a bitterly, smugly ironic delight in presenting its central character as a complete blank inhabited by one of the most generic actors of the 1970s giving a deliberately undernourished performance. But it is one of the most perfectly appointed costume dramas in the history of the medium, with compositions that rank among the most exact and perfect ever staged; Kubrick and cinematographer John Alcott and production designer Ken Adam and costume designers Ulla-Britt Søderlund & Milena Canonero weren't primarily interested in bringing to life William Makepeace Thackeray's breakthrough 1844/'56 novel The Luck of Barry Lyndon, but in recreating a series of living paintings by which the culture and art of 18th Century England and Europe could be re-imagined using the filmmaking technology of the 1970s. It's less a movie than a gallery exhibit: one of the most graphically-driven, purely audio-visual of all nominally narrative motion pictures. Mind you, the film's debt to fine art (many of the individual shots were inspired, not just by the idea of 18th Century art, but by very specific paintings) and its heavily aesthetic-driven approach isn't at the expense of narrative; on the contrary, the intense formality of it (including its revolution in cinematographic technology, but we'll get there) is intimately tied with its themes. The basic plot of the thing is thus: middle class Irishman Redmond Barry (Ryan O'Neal), after a disastrous romantic misunderstanding that leads to a duel, flees his rural home to make his way in the world, both in Ireland and Europe; during the Seven Years' War, as a soldier for the Prussian army, he's assigned to spy on an Irish con-man, the Chevalier du Baribari (Patrick Magee), with whom he instead forms an alliance, and they gamble their way across the continent, making and losing fortunes. After enough of this, Barry forces his way into the life of Lady Honoria Lyndon (Marisa Berenson), one of the wealthest heiresses in England, marrying her and making a wreck of her fortune before her son by a previous marriage, Lord Bullingdon (Leon Vitali as a young man, Dominic Savage as a child), finally comes up with a plan to drive the rascal, now going by the name Barry Lyndon, out of their lives for good. In Kubrick's film, whose sympathies aren't entirely identical to Thackeray's novel (which is far more ironic and comic in approach, and if anything is even crueler in its concluding details), the whole thing is an exercise in revealing how utterly loathsome of a man Redmond Barry is, inch by inch; it is, in fact, not at all a poor companion piece to his immediately prior work A Clockwork Orange - both of them are about how a very particularly-detailed setting reflects and is reflected by an antihero whose behavior is unrelentingly vicious. The chief difference is that A Clockwork Orange reveals all at once what a terror its protagonist shall be, while Barry Lyndon obsessively and exhaustively explores all the surfaces of its characters and scenarios before letting the full brunt of Barry's venality come to the fore. And here we come to the single best piece of bad-actor casting in all of Kubrick; he made a bit of a habit out of it, between 2001: A Space Odyssey and Full Metal Jacket and Eyes Wide Shut, but it was a masterstroke of an entirely different order to cast the painfully bland prettyboy star of Love Story in the role of an utterly ruthless, misogynist shitheel like Redmond Barry, for a multiple reasons. There's the element of subversion, for one. There's the element of surprise, for another: for much of the film,. O'Neal seems barely able to keep up with the demands of a here-and-gone Irish accent, let alone to create a character, and when he suddenly reveals the full depth of his meanness, it's stunning and shocking - we've been taken in by his harmless mien as much as poor Lady Lyndon. There's the element of horror: O'Neal doesn't really alter his performance much, so the generic leading man gaze he wears during his characters heroic moments is identical to the one he wears during his brutality and downfall, which sells the idea that Barry is an honest-to-God sociopath better than any calculated actorly tricks could ever do. And above all, there's the way that Barry Lyndon is about surfaces and the absorbing need to Project The Right Look To The Right People, and casting not just a pretty movie star but a pretty movie star with literally nothing in his wheelhouse but his looks makes perfect sense in that context (I'm being harsh on O'Neal: anybody who has seen Peter Bogdanovich's neo-screwball What's Up, Doc? knows how talented the actor could be when he needed to. But then there's Bogdanovich's caper comedy Paper Moon, which finds O'Neal effortlessly out-acted by his nine-year-old daughter, as well as the costume design, so who knows). It's a film about surfaces; or rather, it's a film about facades, and how exacting standards of form in daily life give a rigid, imprisoning structure to life that zaps the humanity out of the people living according to those standards, while also making it impossible to tell a liar and rogue and all-round menace until it's too late, as long as he can move the right way and occupy spaces correctly. The film's monstrously long climactic pistol duel is a perfect example: it proceeds with aching, ritualistic solemnity, in which Barry fits perfectly, and in which his most implacable foe, Lord Bullingdon, absolutely does not; and it's maybe not a coincidence that the character who can't handle the elegant dance of Georgian life is the one able to put a stop to the movie's spiral of miseries. So back, back, back we go, to where I said that the film's overarching formalism and its themes are intimately tied; and that is all I meant by it. 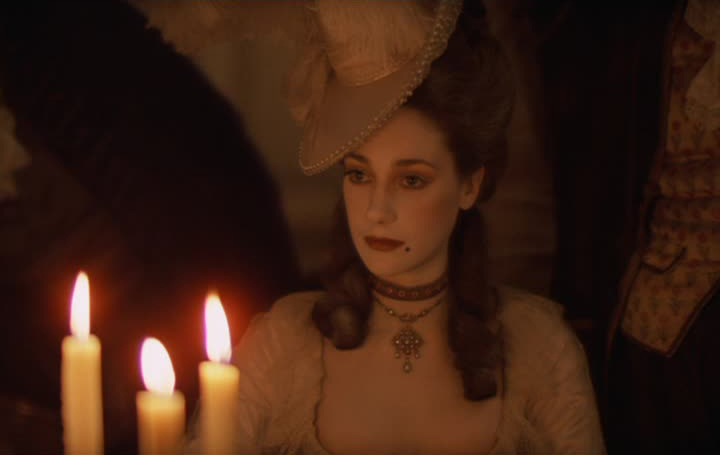 Barry Lyndon is, in the best sense, like a museum piece, embalming and preserving its characters right before our eyes as their devotion to an aesthetic-as-life dooms them. The act of re-creating a historical moment with profound accuracy and scrupulousness is also the act of showing how that life turns everyone involved into a display of stuffed and mounted animals. Hence the reliance on period artwork in guiding the compositions, hence the film's overwhelming slowness, hence the lack of affect from virtually the entire cast. And yet, for all that, the film is incredibly beautiful: that is seen to by Kubrick and Alcott's famous revolution in using lenses that had never been used in motion pictures to reach unprecedented (and never-equalled) low light levels, using candles to illuminate whole frames, and capture the physicality of the era like no other movie. At the same time, they left a certain gauzyiness of focus that leaves many frames look exactly look flesh-and-blood oil paintings; even in the act of bringing the period to life with an immediacy unheard of in costume dramas, Kubrick still throws a wall between the viewer and the material. It is the most remote and coolly observational of all his films; as though, to make up for the grueling immediacy of A Clockwork Orange, he immediately wanted to make a film with a similarly depraved hero but with enough distance from the material that we, the audience, weren't being run through the muck along with the story. Or perhaps it's as simple as the closing card has it: "good or bad, handsome or ugly, rich or poor they are all equal now". I'm powerless to resist that, myself: a good graphic match will get me every time, and those candles are an exquisite graphic match, while the contrast in the empty vs. populated backgrounds offers its own cutting little commentary on what appears to be a generic "they're falling in love" edit. And this is two brief shots in one short, wordless scene, out of 185 minutes! Treasures abound in Barry Lyndon, a film to be gazed upon with rapture and studiousness, and even if the plot offered up absolutely nothing (and it certainly lacks the liveliness and cunning of Thackaeray's novel, though it also doesn't aspire to those things), there'd still be nothing but reasons that I loved the film. I can't use the word "masterpiece", since an artist can only have one of those, properly speaking, and Kubrick's was 2001; but I wouldn't trade Barry Lyndon in for anything, and I can name hardly any movies that feel as fresh and inexhaustible after every revisiting.